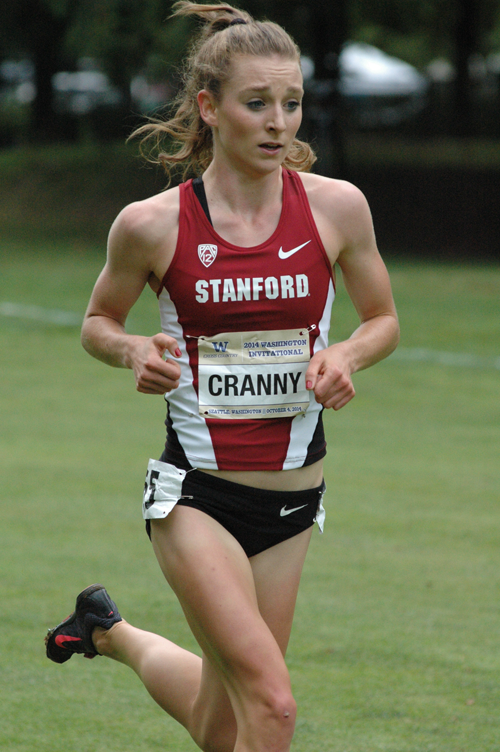 What's the best NCAA xc team in history? In His Debut, Tyler Pennel Wins 2014 USA Marathon Championships In 2:13:32; Esther Erb Comes From Behind To Win Women’s Title (2:34:00) BYU alum Jared Ward took 2nd in 2:14:00 as Scott Smith was 3rd (2:14:40). The women’s race was pretty close as only 22 seconds separated the top 3 with Heather Lieberg 2nd (2:34:08) and Brianne Nelson 3rd (2:34:22). DownTheBackStretch Article On Esther Erb’s Victory Some interesting tidbits on Erb, who actually had the opportunity to represent Austria, but said it wouldn’t seem right if she ever won and heard their national anthem instead of the US’s. 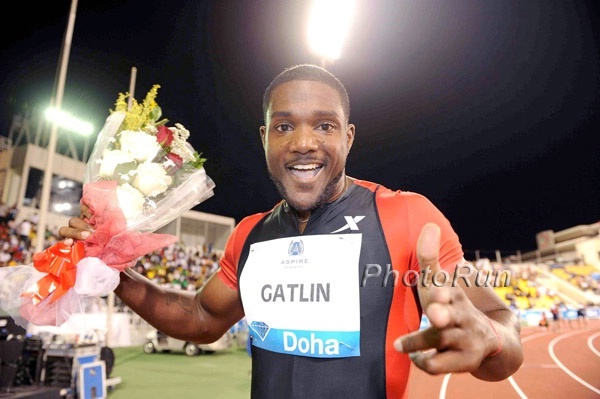 By winning here she makes the US team for 2015 Worlds. Fast Masters: Mbarak Hussein (2:22:26) And Sheri Piers (2:42:46) Defend Their US Masters Marathon Championship Titles At Twin Cities 50-year-old Spyros Barres finished 8th among Masters with 2:38:48. Two-Time Marathon World Champ Edna Kiplagat Wins Great Scottish Run Half Marathon In 1:07:57 Kiplagat beat Caroline Kilel by 56 seconds with Olympic champ Tiki Gelana way back in 3rd (70:37). South Africa’s Stephen Mokoka won the men’s race in 1:01:25 over Kenya’s Stephen Chemlany (1:01:32) and Mark Kiptoo (1:01:35). Haile Gebrselassie dropped out after only 5K saying he had breathing problems. Overall Men’s Rock ‘N’ Roll Series Marathon Record Goes Down In Lisbon As Kenyan Samuel Ndungu Wins In 2:08:21 Visiline Jepkesho won the women’s race in 2:26:47. 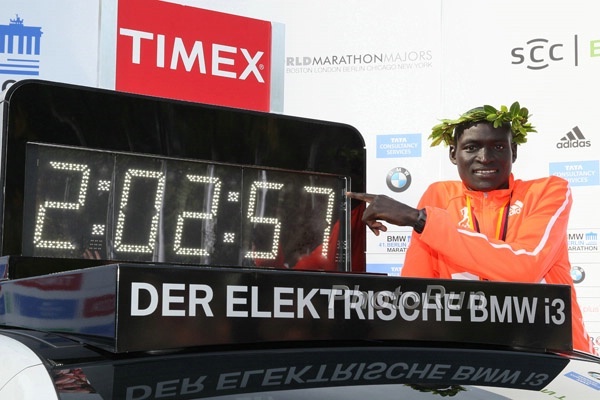 The half marathons were won by Kenyans Stephen Kibet (61:06) and Purity Rionoripo (71:02). WR holder Zersenay Tadese and 2011 World 10K champ Ibrahim Jeilan struggled, finishing 5th (63:29) and 8th (64:10). Watch Out, Zersenay Tadese? 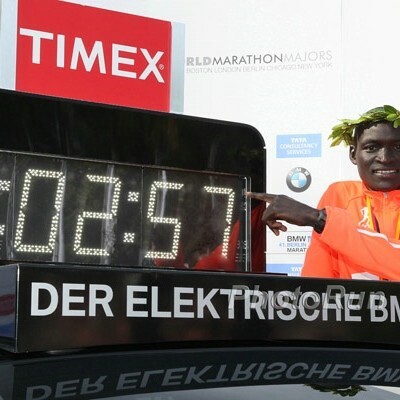 Mathew Kisorio Continues Comeback From Drug Ban With Win At Family Bank Half Marathon In Eldoret, Kenya Kisorio ran 63:17 and says he wants to go for the half marathon WR.